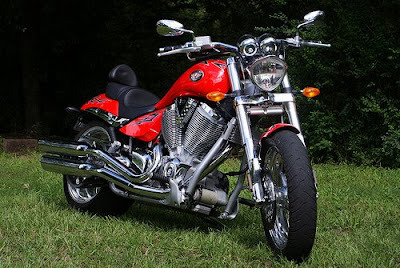 One of the best two wheeler manufacturing company of the U.S is the Victory Company. The Victory Company has been launching many good numbers of cruisers in the country and this company only manufactures cruisers bikes. The company is already having business in many countries such as Spain, U.K, France and many more countries. This time the Victory Company is all set to launch its cruisers in to the Indian market. The Victory Company is going to showcase its bike in the 2012 Delhi auto expo. After that the company will launch the cruisers into the Indian market. The price of the Victory cruisers ranges between Rs. 8, 00, 000 to Rs. 15,00, 000. The upcoming bikes from the US bike firm are reported to be Victory Hammer, Victory Jackpot, Victory Kingpin, Victory Vegas and Victory Vision. The Victory cruisers are well enabled with the latest technology and thus there are many new features that are endowed in the bikes. The company mainly manufactures cruisers with more performance and good looks. The bikes are having good look and performance. The bikes will be fully imported to India. The price of the Victory bikes will be kept in range that best suits the Indian market conditions. The bikes are given a good look. The design of the bike is given a unique look. The head lamp and tail lamp are given sharp look and thus the look of the bike is also enhanced by the lamps. The fuel tank is having many graphics which also enhances the look of the bike. The Victory bikes are categorized as 8-ball cruisers, touring, Ness signature and muscle cruisers. In the U.S market the company sells a number of good models and thus the models will also be available in the Indian market. 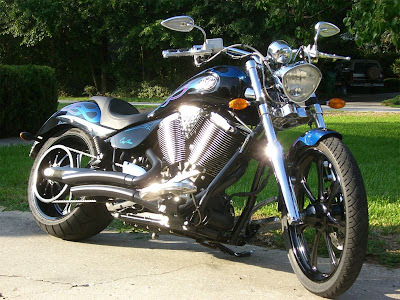 The Victory bikes are manufactured for long riding. The engine capacity of the Victory bikes comes around Rs. 1700cc. the powerful engines of the bike will rock the Indian roads with its style and performance. One of the models of Victory bikes includes Victory Jackpot and the Victory Vegas 8 ball which are powered by the 1634cc engines. The bikes are having 6 speed transmissions which provide better comfort while driving. The same engine is also provided to one of the model and that is the Victory Kingpin classic cruiser. The hammer is one of the good models of the Victory Company. The performance of the Victory bike is just unbeatable. The Victory Company is expecting to do good business in the Indian market. The company is planning to set up assembling plants depending upon the demands for the bike.